Dot Dash opened up for Chameleons Vox the other night and I took some pics. Good thing I like blurry 'cause most of these look like I was running for a bus when I was taking 'em! Still, you get a sense of the live action and that's cool. Dot Dash did a tight set featuring approximately 7 new songs. Here's the setlist which involved a few last minute changes as you can see. The final song -- "Shouting In The Rain" according to that list -- was a stomper! It was more raucous than other stuff these guys do and there was a hint of the unhinged in the song that I really enjoyed. For a few seconds, it sounded like it was about to fall apart but these are tight players and things always click and the song roared to its conclusion. I'm working on a radioblue retrospective for this blog which I'm going to try to post before year's end. You'll see comments from Dot Dash drummer Danny Ingram in that piece. I also went back and listened to the Julie Ocean Long Gone And Nearly There (2008) CD again. Hunter Bennett and Terry Banks from Dot Dash were in Julie Ocean with Jim Spellman from Velocity Girl and Alex Daniels from Severin. This is really criminally underrated power pop! From "Here Comes Danny" which seems like the best Teenage Fanclub song never written by Teenage Fanclub, to "Ten Lonely Words" with its spin on the formula of early Jam singles, this is a solid collection that rivals some of the best work of The Posies -- it's certainly a more consistent record overall than any of their full-length releases with the exception of Frosting On The Beater (1993) -- and early postpunk singles from Rich Kids and The Records. 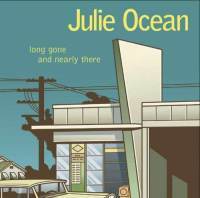 You can get Long Gone And Nearly There by Julie Ocean on iTunes. Terry Banks also did time in Tree Fort Angst and I'd urge you to seek out their compilation Last Page In The Book of Love (2002) if you don't already have it. It's on iTunes and it contains 30 nuggets of US indie pop from what started as a one-man project for Mr. Banks. It turned into a 3-piece band briefly before Terry went on to join Black Tambourine's Pam Berry in Glo-Worm and Velocity Girl's Archie Moore in The Saturday People. I was not a huge Chameleons fan before the gig the other night but I am now. Sure, I knew Strange Times (1986), but I was a bigger fan of the work of Mark Burgess and John Lever in 1988's The Sun And The Moon. Lever and Burgess delivered an awesome set of tunes Monday night. I only wish that more of my pictures had come out good, especially since I was *very* near the stage. Follow Dot Dash on their Facebook page. Recalling Ladytron, here's a new UK duo that I like quite a bit already. 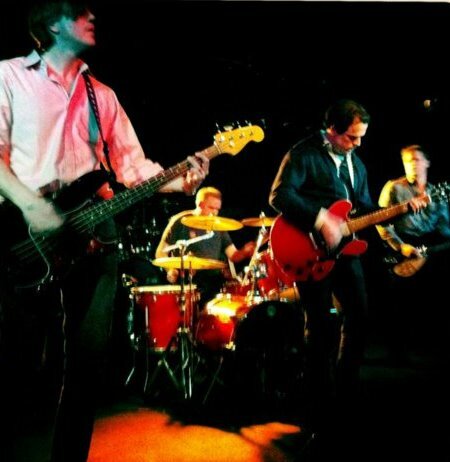 I Am A Camera are releasing new single "Commuter Love" on 4 December but you can play it here below. The band is now working with producer Cameron McVey who has contributed to the success of both Portishead and Sugababes. Like I have always insisted when raving about UK-based pop: there's not so much difference between indie rock and quality dance music. In America, genres are segregated but in the UK and Europe, one can dance and think at the same time, you know? "Commuter Love" is supple, sleek, modern, and a bit retro all the same. 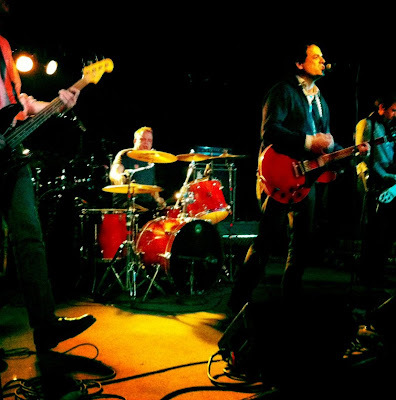 For now I would urge you to follow this new band as I'm sure that they are going to have even more success in 2012. Check out their Facebook page as well as their official website. 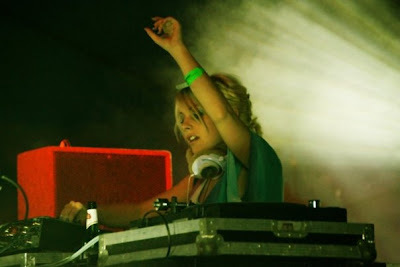 Near the end of her triumphant DJ tour, Little Boots brings us a new remix of her current single "Shake" from Crazy P and you can play it below. The vocals here still recall Sarah Cracknell and Saint Etienne but the track now echoes the best house music of the late 1980s. This is a funky and supple remix that I like almost as much as the original version of the song. Play it or download it via Soundcloud below. 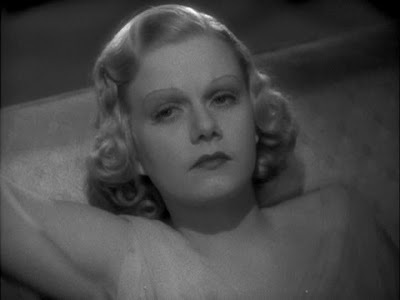 Knowing that she died on the set of the film, it's almost impossible to watch Jean Harlow in Saratoga (1937) without a morbid focus. As a fan, it's a challenge to turn off that awareness and try to enjoy the film on its own. 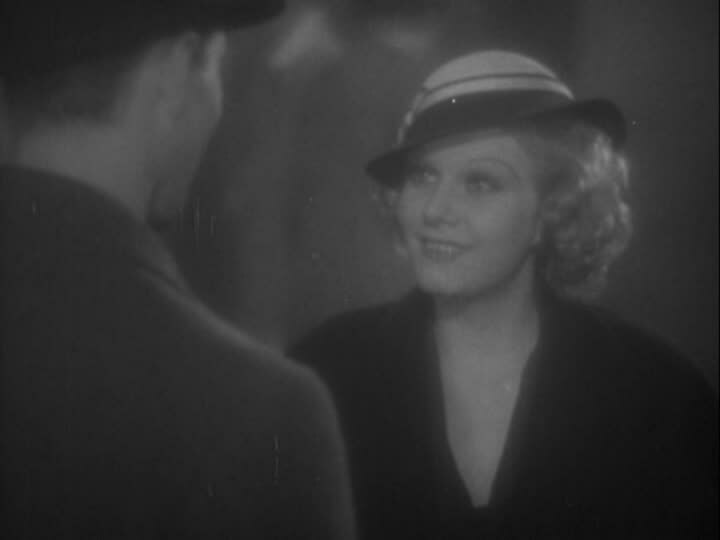 I've seen Saratoga (1937) a few times but this is the first time I've watched it on DVD thanks to the Warner Archive's Jean Harlow Collection. Jean Harlow plays Carol Clayton, the granddaughter of a horse breeder (Lionel Barrymore). She locks horns with Clark Gable's bookie Duke Bradley. 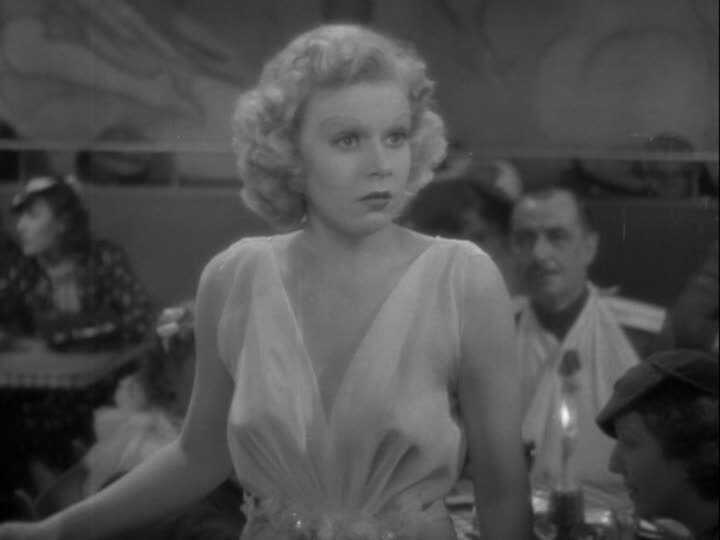 With a script cowritten by Anita Loos, Saratoga (1937) is a chatty film with a lot of exposition. Knowing that Jean had to be written out of scenes since she died before the film was finished, I always wondered if the picture was padded out, and if the boring bits here were the result of writers trying to cover up for her absence. 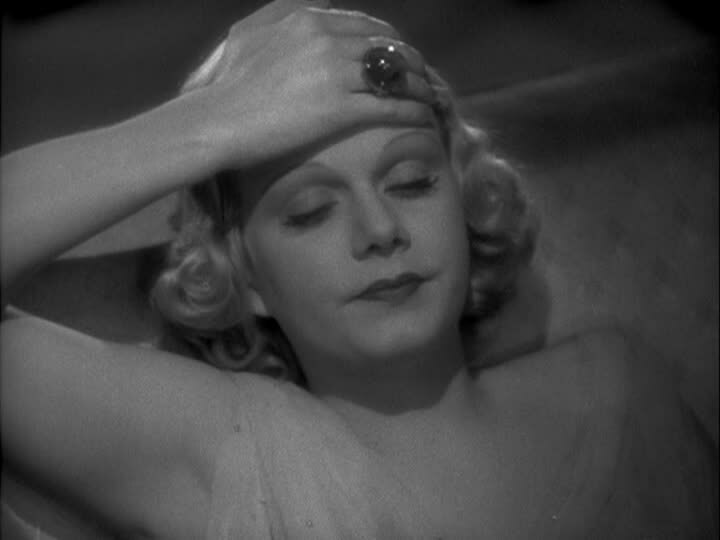 Una Merkel shows up as Fritzi, an old flame of Bradley's, and then Carol's dad dies at the track. Soon, Bradley is arguing with Carol Clayton as she plans to marry a banker (Walter Pidgeon). It's all tedious stuff. 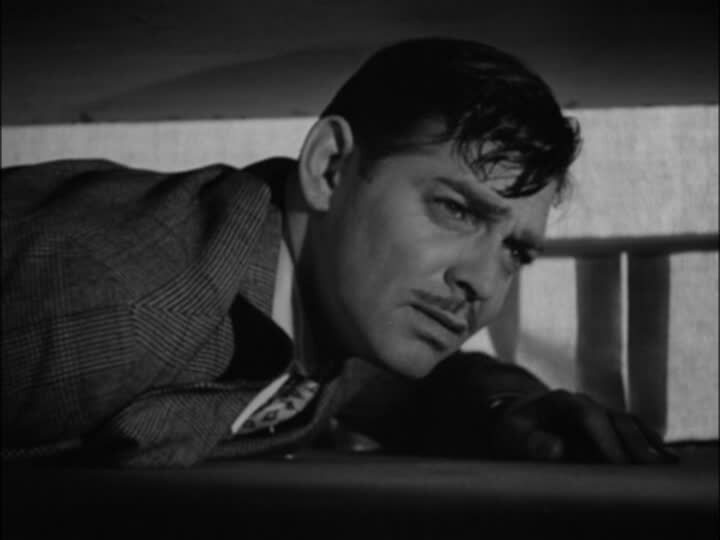 Jean looks sick here and Gable's done this sort of cad role dozens of times already. 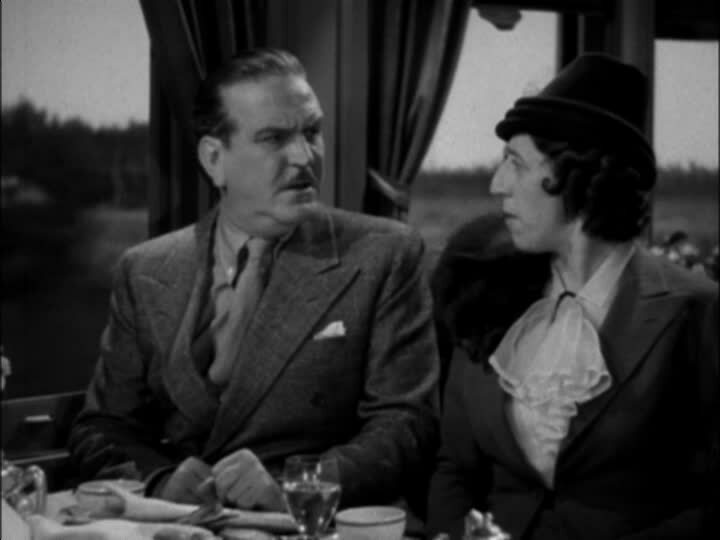 Merkel's husband (Frank Morgan) buys a horse at auction and then more betting occurs and soon Jean and Gable are on a train. 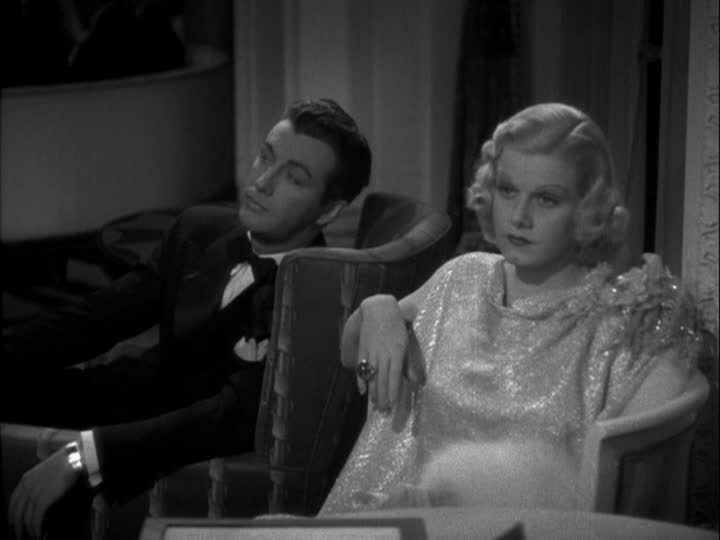 As Gable parties, Harlow tends to the books. 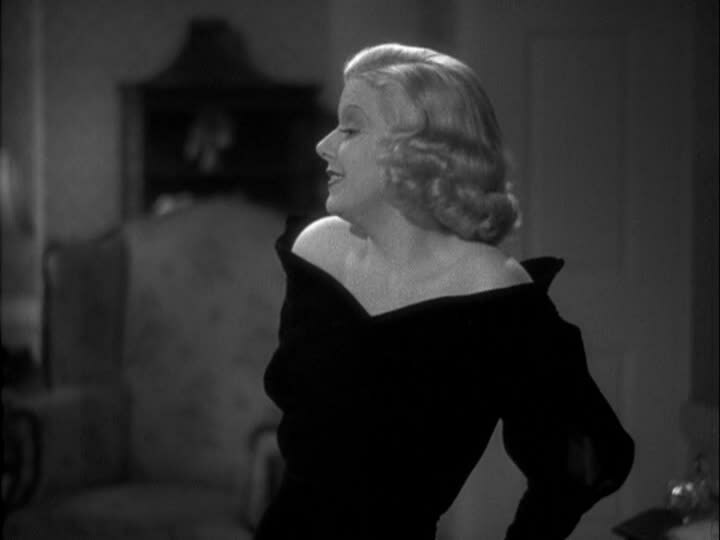 Playing a high-strung business woman-type doesn't suit Harlow. She's too humorless here. Only 26, she already looks 36 in some shots and I'm sure that's a result of her illness. For a few brief moments, Jean's Carol has a bit of fun on the train and the tone lightens up a bit. A scene where Jean's Carol is examined by a doctor is morbid and there's no other way to approach it. In the context of the film, it's meant to be a bit humorous but it's not. The doctor thinks Carol should get married to calm her down (!) but the gal still has a lot of anger about Bradley surprising her with a visit from her fiance. It's complicated and silly stuff, especially when Duke has to hide under Carol's bed when her fiance comes over. 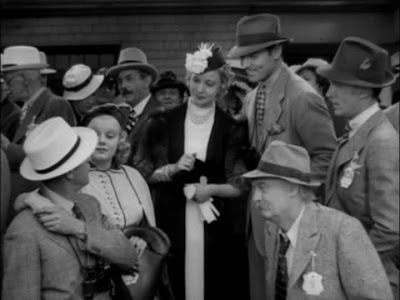 The other game a viewer ends up playing with Saratoga (1937) is trying to spot the double in the film. 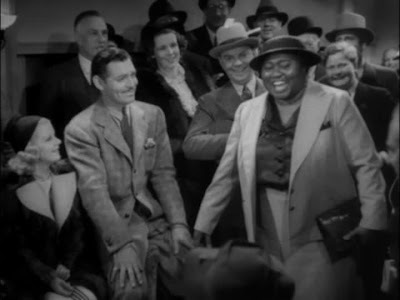 Contrary to what I thought when I first watched this flick, it's not an easy task (apart from one very obvious scene at the track, and another brief one with Hattie McDaniel); the use of the double isn't too obvious unless you know to look for her, and Jean is in most of the scenes that require her. That said, it's easier to pick out the scenes she was written out of as it seems that she disappears for the final third of the film! The best scene in the film could very well be the one where Margaret Hamilton angrily confronts businessman Frank Morgan. Seeing the Wizard of Oz and the Wicked Witch of the West banter a good 2 years before the release of The Wizard of Oz (1939) is a delight. Saratoga (1937) remains a thing of morbid fascination. 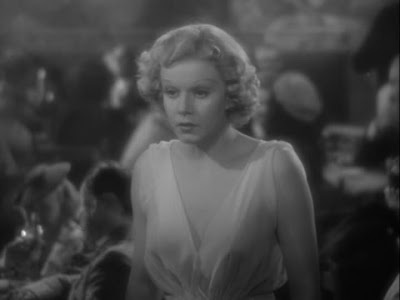 Not enjoyable -- Jean's best scenes are still weaker than stuff she did in other MGM pics -- and even a bit tedious since not much of the familiar Anita Loos wit is in the dialogue here, Saratoga (1937) is still probably essential viewing for Jean Harlow fans. Just be prepared for a bit of boredom as Jean isn't in most of the final third of the film. Written out of scenes, or doubled for in others, her glamorous ghost haunts the film. Just a reminder that Dot Dash are opening for a line-up of the seminal Chameleons called Chameleons Vox at D.C.'s Black Cat tomorrow night (November 28). And, to remind you what a crackling unit this four-piece is, here's another free MP3 from the guys. I decided to go with the wildly melodic "Hurrah" which recalls Julie Ocean a tiny bit. Leader Terry Banks and Hunter Bennett both played in that band and here they're aided in the quest for a pop hook by the guitar riffs of Bill Crandall and a strong, decidedly Keith Moon-ish turn on the skins from Danny Ingram (Swervedriver, Strange Boutique, radioblue). 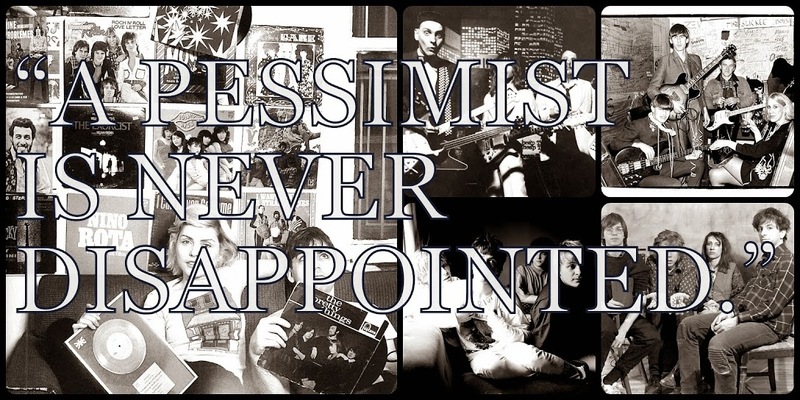 This is punchy, poppy, post-punk rock that recalls the finest moments of Guided By Voices (oddly), as well as power pop stuff like Shoes and The Records. I think I chose this song as today's freebie to highlight the band's strong pop sense; it's not all heavy Wire homages around the Dot Dash HQ! Dot Dash are playing with Black Swan Lane and Chameleons Vox on 11/28 at the Black Cat. Doors are at 8 PM. 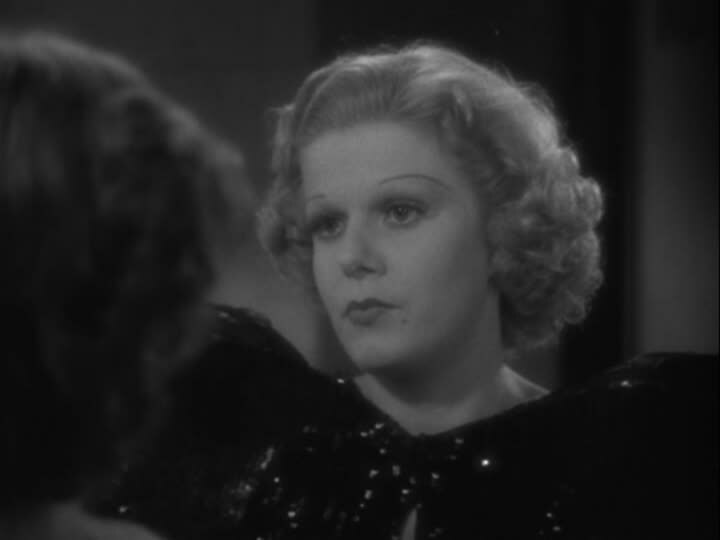 Of the extras on the discs in the Warner Archive's Jean Harlow Collection, Personal Property (1937) features the most significant of any of the 7 DVDs: a one hour CBS radio drama called "Madame Sans-Gene" with the film's stars. 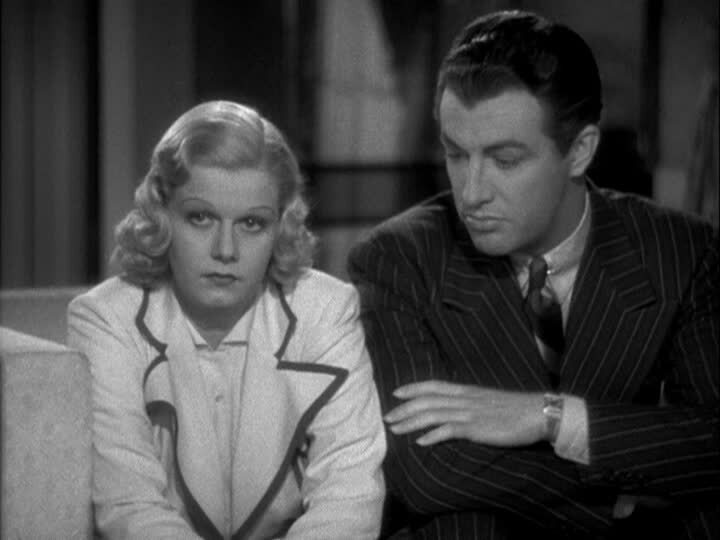 The radio show was broadcast on CBS radio in December 1936, a few months before the film opened, and it features Jean Harlow, Robert Taylor, and Claude Rains. 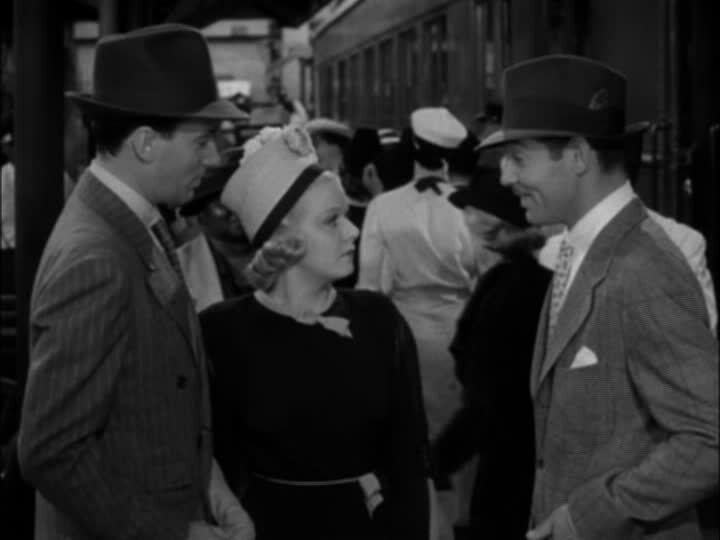 The drama is a curio, at best, and the interview segment with Jean and Robert Taylor and Cecil B. DeMille is so clumsily scripted that it's hard to get a sense of the real Jean there. 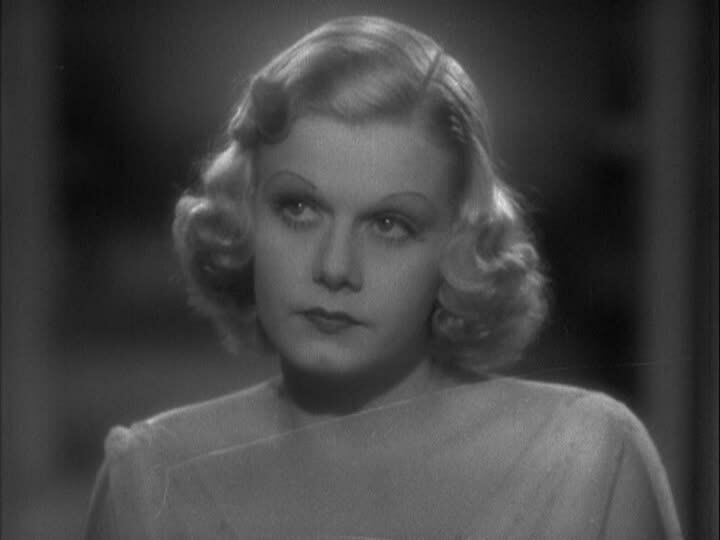 The most interesting tidbit in that interview is news of an upcoming film with Jean Harlow and Wallace Beery called The Foundry. I have never heard of this title but I'm guessing it's one of the projects her tragic death in 1937 prevented the world from ever enjoying. 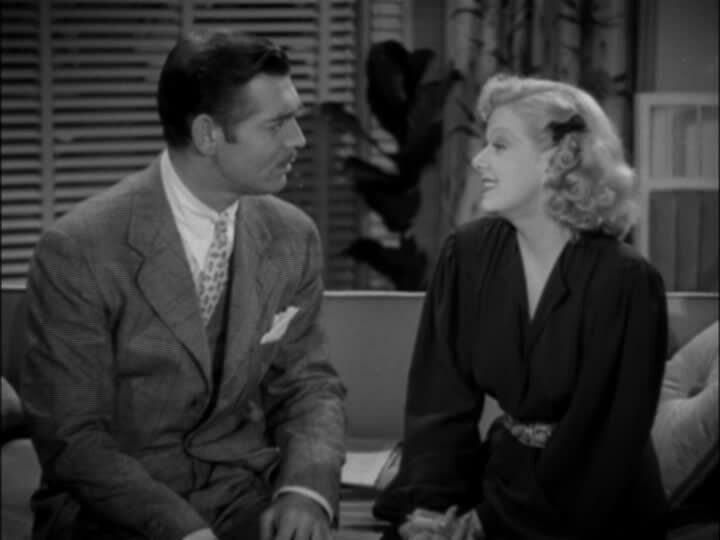 Personal Property (1937), from famed Thin Man series director W.S. 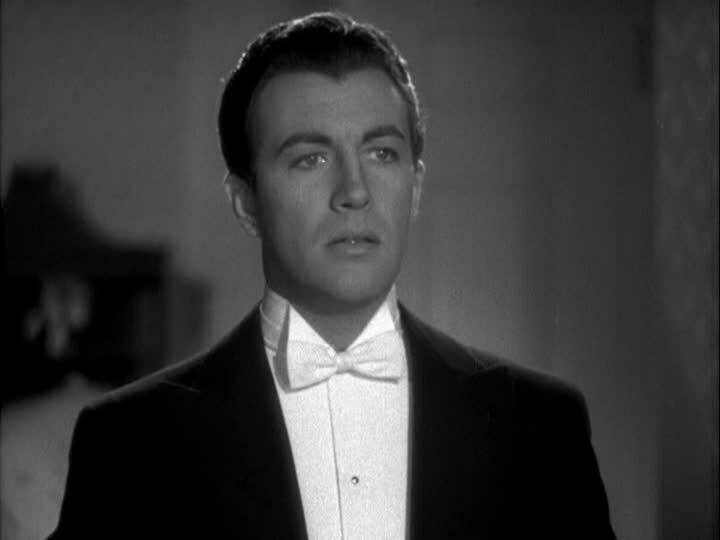 Van Dyke, is a frothy comedy with Robert Taylor as a rich guy returned from prison. He attempts to woo Jean's Crystal Weatherby at the opera and the comedy is a bit forced. 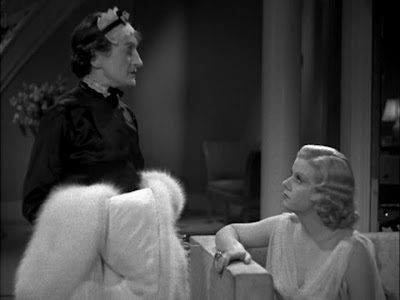 Una O'Connor from Suzy (1937) shows up as Crystal's maid. In a famous scene, Jean flashes the rock she got from William Powell. Famously, Powell wasn't going to marry Jean right away but he did show his devotion with an enormous ring. 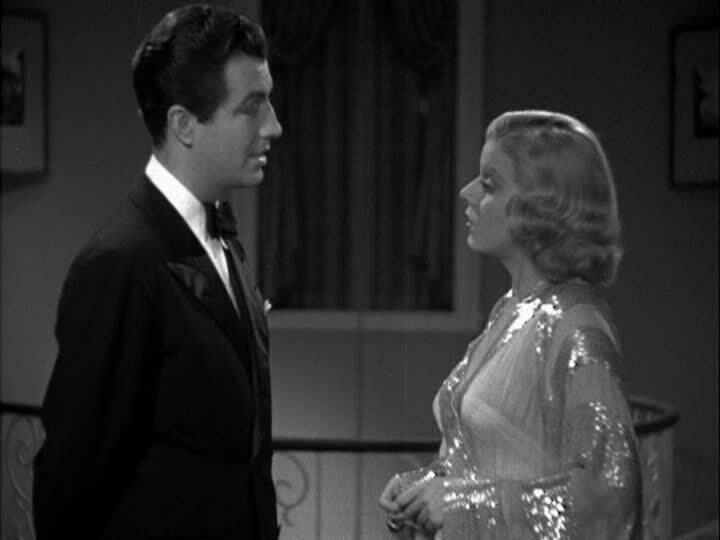 When Jean's Crystal wearies of Robert Taylor's attempts to enter her residence, she flashes the stone as she reclines on the couch and her maid answers the door. Taylor works his way into the place by posing as an investigator. Taylor is not nearly as annoying as I remembered him being. He's handsome -- if a bit overly made-up! -- and he's young. Here he brings a bit of life to a visibly tired Jean. Only a few months younger than his costar, he looks so full of life here where Jean looks older and weary. Part of the problem with Personal Property (1937) is that it's obviously based upon a play. Most of the film's short running time takes place in Crystal's apartment. It's stage-y stuff and not entirely suited to the new actor Taylor nor the glamour queen Harlow. Still, it's refreshing to see the actress being used by MGM studios in a new way. When Taylor's Raymond agrees to play Crystal's butler, it allows the leads to have some fun as they play-act the evening's dinner. Jean is much better in this scene and she's quite funny given the limited material. Quite frankly, I'd say that this scene at least is essential viewing if one wants to get a sense of Jean's real talents beyond just her visible charms. The family arrives and it's Raymond's family. Let the hi-jinks begin. The presence of comedy vets like Cora Witherspoon helps the final third of the film succeed. Certainly there are better films from this era that mine a similar vein -- My Man Godfrey (1936), for one -- but Personal Property (1937) is not a failure. It's just tedious stuff in spots. And it's a sad comedy too as it constantly reminds a viewer that Jean was sick and only a few months away from her tragic, early demise. And with that knowledge, another layer of sadness is added when one considers the film a hint of other genres Jean could have triumphed in. 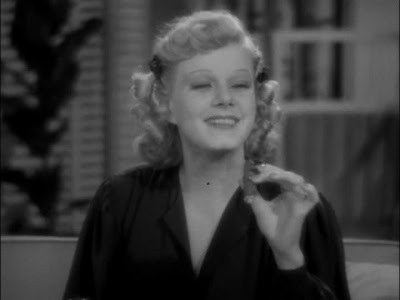 She's a game comedienne here, and the material sparkles in spots -- like that big ring! 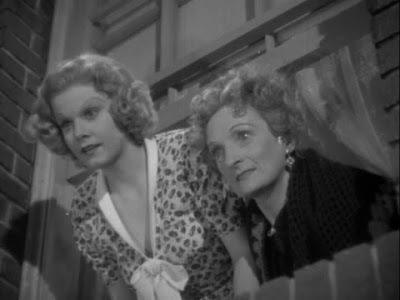 -- but it's really hard to enjoy this film in the way that one can enjoy earlier Jean comedies. 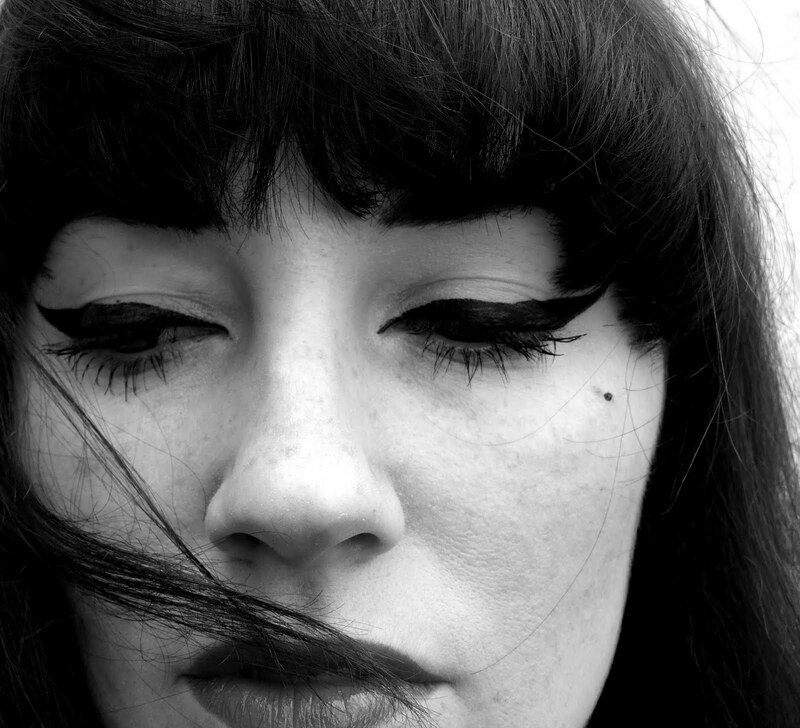 Kate Jackson Of The Long Blondes Finally Readies Solo Album! I've haven't been this psyched, as they say, about hearing a singer go solo since Rose Elinor-Dougall put our her solo album a year ago. The NME is reporting today that the former Long Blondes frontwoman is working on a solo album and the first two tracks posted online are fantastic! This is great stuff. There's something a trifle less angry about the way Kate is singing here. There's still urgency and passion and the pop hooks work. And, if I wanted to be a bit lazy as a writer, I'd say that these are a touch more glam than punk. Still, she's edging closer to being this era's Chrissie Hynde as far as I'm concerned. I can't wait to hear what she's cooked up with Suede's Bernard Butler. "Wonder Feeling" will be released as a single in December. For those of you in the UK, Kate Jackson is playing Hoxton Square Bar and Kitchen on 7 December. The Oh My! onslaught continues! With 2 new sparkling remixes of their new single "Dirty Dancer" released recently, the gals -- Alex and Jade -- are marking their mark on a stagnant pop scene. I predict big things for Oh My! in 2012. Here's hoping that "Dirty Dancer" is the first in a string of hits for these pop princesses! Follow Oh My! on Facebook and on their official Tumblr page. 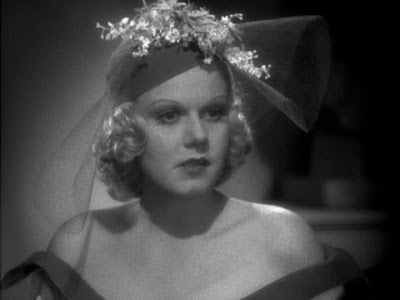 Going in chronological order, Suzy (1936) is feature number 5 in the Warner Archive's Jean Harlow Collection. 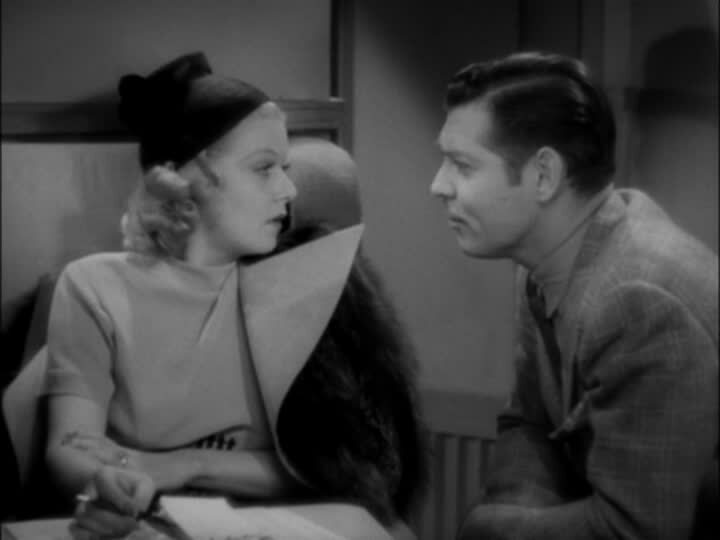 And, like Reckless (1935), it has an extra in the form of an audio program about the film -- sort of a 14-minute audio trailer for radio audiences. And, just like Reckless (1935), Jean's singing voice was dubbed here by Virginia Verrill. This World War 1 story is not entirely effective but, as can be expected, Jean makes for a plucky heroine. Barely 25, Jean looks a bit more mature in this film. She struts around the backstage scenes with feminine swagger. That familiar mix of toughness and heart is here. Dorothy Parker worked on this script and it shows. Jean's dialogue is crackling in spots, not so much witty as realistic, world-weary. 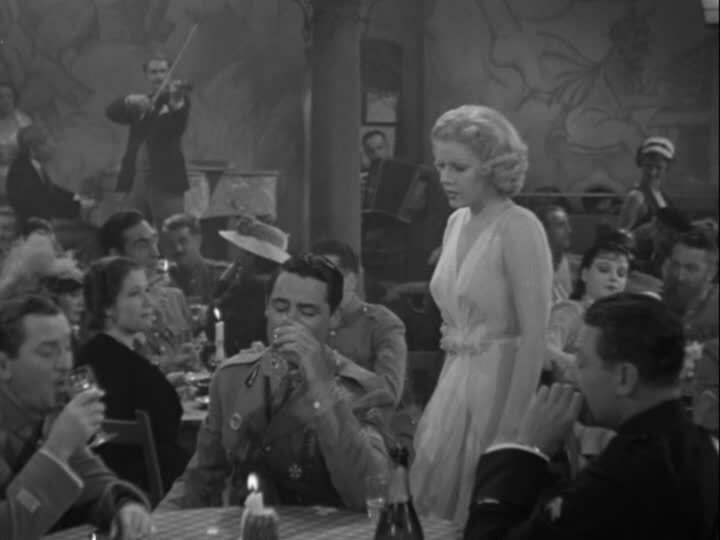 The actress works at making Suzy a bit hard in spots -- who can blame her for being a tough gal when producers are trying to get the showgirl into bed? -- but there's something sweet in Jean's performance that captivates a viewer. When Franchot Tone's chauffeur-driven car hits Jean on a foggy London street, she works her charms on him and not some slimy producer. 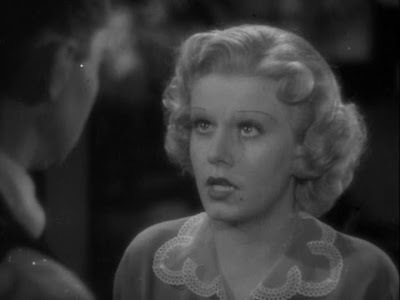 What's sad when watching Suzy (1936) is that an astute viewer can see Jean really blossoming as an actress -- her confidence is just infectious in these early scenes! 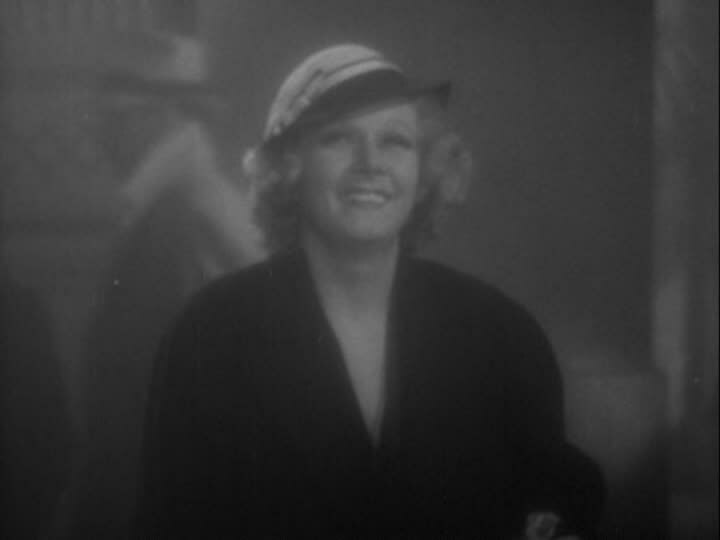 -- but the realization that she only had a year to live after this casts a strange pallor over the film. The hints of her possible future talents are palpable. Clearly, she was growing as an actress and, with the right material, she would have ended up somewhere between Myrna Loy and Carole Lombard if she had lived. Suzy's interactions with Mrs. Bradley (Universal Horror mainstay Una O'Connor) are well played and there's more subtlety in Jean's work here than in earlier parts, despite this being a somewhat broad role. 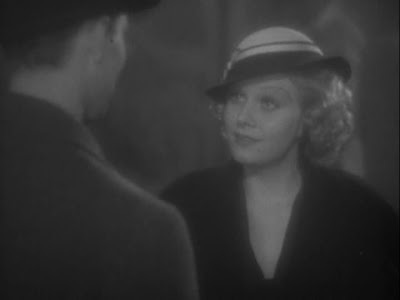 There are a lot of forced plot devices with Jean's marriage to Moore (Franchot Tone) and her implication in his murder. It's just all mechanical and labored stuff, frankly, and the film feels very episodic and unfocused as a result. By the time that Suzy gets to Paris and is remarried to Cary Grant's dashing air pilot, it's just like watching another film. The tone is that different. Grant is too cocksure here. 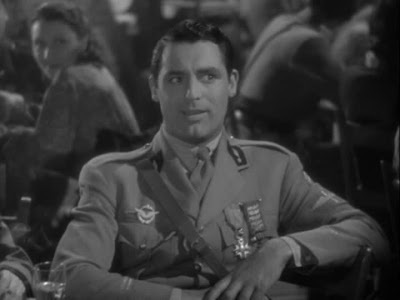 It's an early role for the actor and while he's charming in spots, he's largely trying too hard. World War I breaks out, there's stock footage of aerial dogfights, and more intrigue when Moore shows up alive. So what is Suzy? (1936) A drama? An espionage thriller? A soap opera? An action film? A musical comedy? YES! And that's why it's still a failure. 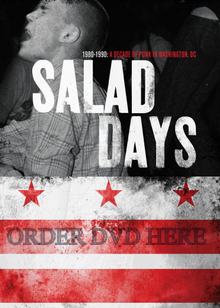 Those early scenes were better than what I remembered -- maybe the crisp DVD picture helped? 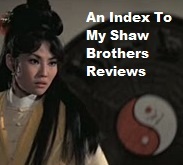 -- but the rest of the film is a wreck and a mess. None of this is Jean's fault. She tries but the script is just so alternately cavalier and hokey and overly melodramatic that she's doomed as an actress in this. She seems a bit lifeless in the Paris nightclub scenes but who can blame her? The material is weak and Grant is a blowhard here. Sure, his character is a hotshot pilot but the very same things that would later make Grant such a charming presence are here in a more unrefined, less appealing, form. He's a prick, let's face it. 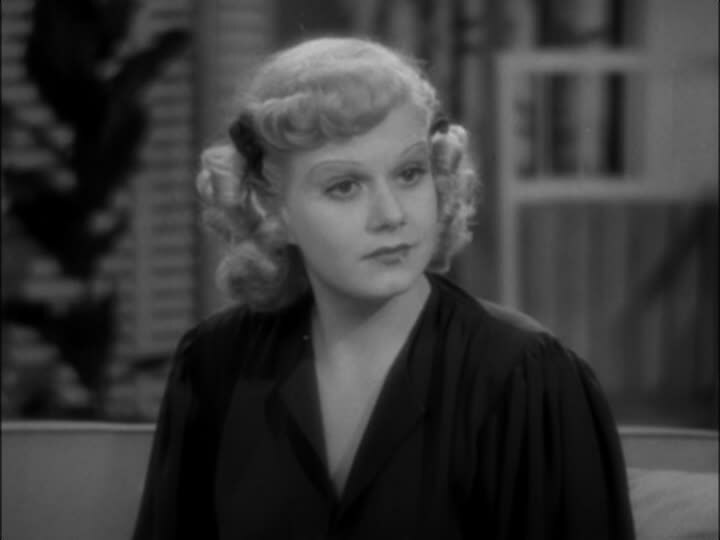 Suzy (1936) really is for Jean Harlow completists only. You can always skip the boring stuff here by hitting that Fast Forward button, I guess.